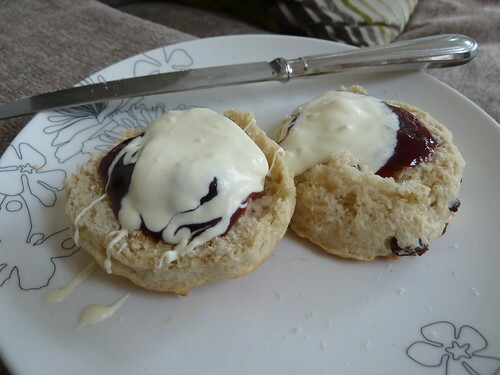 Scones are traditionally connected with Scotland, Ireland and England, although no one knows for sure who did actually invent them. The The first known print reference, in 1513, is from a Scottish poet. 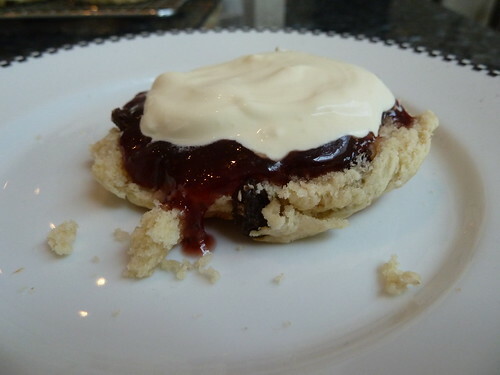 Originally, scones were made with oats, shaped into a large round, scored into four or six wedges (triangles) and griddle-baked over an open fire (later, a stovetop). 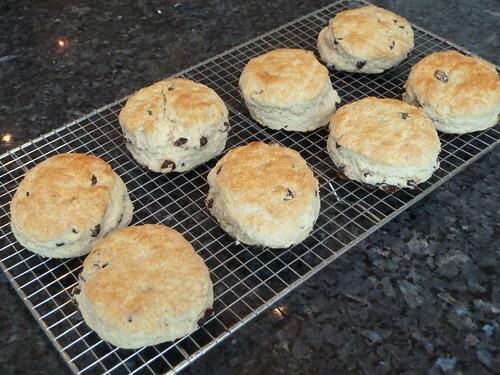 With the advent of oven baking, the round of dough was cut into wedges and the scones were baked individually. Today’s scones traditionally made with wheat flour, sugar, baking powder or baking soda, butter, milk and eggs, and baked in the oven—both in the traditional wedge form and in round, square and diamond shapes. perfect with jam and cream! Preheat the oven to 180 degrees centigrade (350 fahrenheit or gas mark 4) and lightly grease a baking sheet. First sieve together the flour, baking powder and salt. Cut the butter into pieces and rub into the dry ingredients. Then add in the sugar and sultanas and mix so they are evenly distributed. Make a well in the middle of the dry ingredients and pour in two-thirds of the milk. Combine initially with a knife and then use your hands to bring the mixture to a dough so that it cleans the sides of the bowl. Add as much of the remaining milk as is required. Then put the dough on a floured board or work surface and carefully pat the dough down to about 2cm thick. Try not to put too much pressure on the dough and don't use a rolling pin as this will stop them from rising. 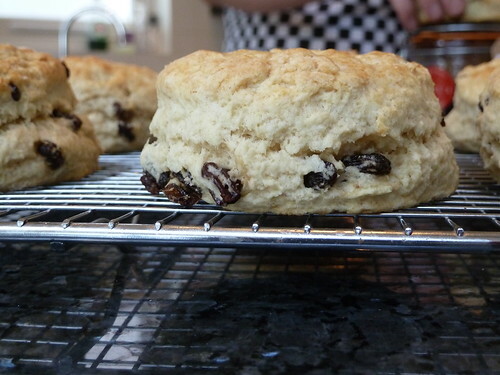 Cut the scones using a cutter or upturned jam jar and place on the greased baking sheet. Brush the tops with beaten egg and a sprinkle a little caster sugar on the top. Bake for 12-15 minutes until lightly brown and the base has a 'hollow' sound when tapped. When cooked cool on a wire rack - best eaten with jam and cream! They look fabulous..... my mouth is watering! I just made these from the recipe and then realised that the sugar has been left out of the ingredients list and how to make section. They were nice but needed the sugar.